Bypass loppers, bow saws, pole pruners, oh my! There's a tool for that! Save your elbow grease – and avoid damaging the plant in question – by matching the tool to the size of the cut. Besides, it’s all too easy to snap a handle on your favorite tool by attempting to cut something too large for the implement. … But What Kind of Saw/Pruner/Lopper Do I Need? Carpenter’s saws – the kind with the wide rectangular or trapezoidal blades – have no place in the garden, but that still leaves a handful to choose from. Loppers and pruners have confusing subgenres of their own, as well. Only shears are straightforward: it’s simply a matter of choosing the right size for the job. Bow Saw ”“ Makes quick work of big branches by cutting on both the push and the pull, but the bulky size is awkward in tight spots and the low quality blades found on most bow saws quickly gum up with sap when used on live trees. Best use: cutting up dead branches for firewood. Pruning Saw ”“ Most models cut only on the pull, but the closely-spaced teeth of a pruning saw do a lot of cutting for the elbow grease expended and do not readily gum up with sap. Folding models prevent self-inflicted wounds. Best use: making precision cuts on fruit trees. Decoding Pruning Saw Blades ”“ Cutting larger branches? Opt for an ergonomic curved blade. Willing to spend extra for quality? “Triple cut” blades stay sharp longer and cut on both the push and pull. Looking for versatility? Double edge blades have fine teeth on one side for precision cuts (fruit trees) and coarse teeth on the other (firewood and brush-clearing). Anvil vs. 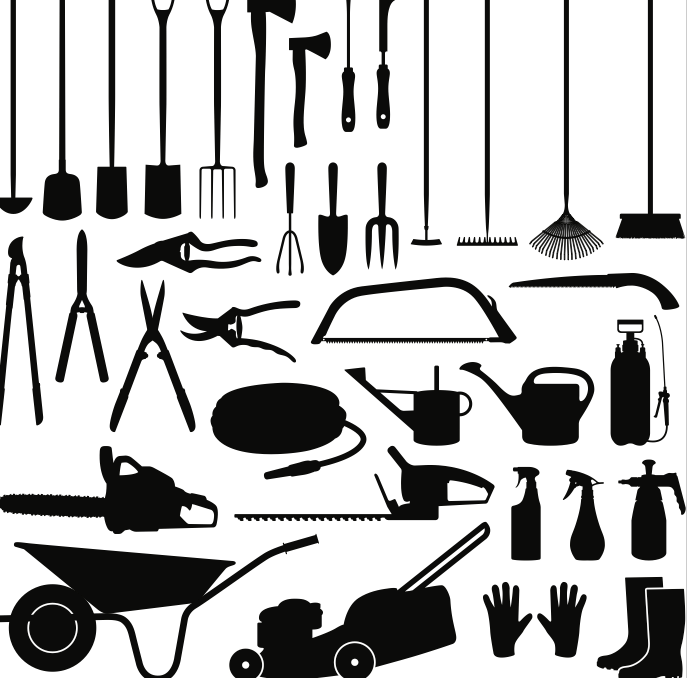 Bypass ”“ All loppers and pruners fall into one of these two categories. On anvil-style implements, the blade clamps down against a flat piece of metal, giving you extra leverage when making a cut, but roughing up the living part of the plant that remains – use these when clearing brush, for branches that are already dead, and other applications when clean cuts are unnecessary. The blade on bypass-style implements sweeps past the unsharpened metal jaw it is hinged to, allowing you to cut off small branches flush with the trunk – use these tools to prune fruit trees or other applications where clean, precise cuts are required. Ratcheting, Compound Action, and Gear-Drive Blades ”“ These are all variations on a single theme: design features that reduce fatigue by either improving leverage or making the cut in small increments. When it comes to loppers, note that the longer the handle length, the greater the leverage you’ll have when clamping down on a big branch. Geek out with these specialty cutting tools and accessories. Extendable Implements ”“ Pruners, loppers, and saws are all available on a pole, from fixed lengths up to 10 feet to telescoping models that extend 20 feet or more. Some employ a length of rope to engage the blades, others utilize a long lever; all allow you to cut high branches while remaining firmly planted on the earth. Orchard Ladders ”“ For those unafraid to climb into a tree, better to do it on a ladder designed for the purpose rather than clamber up the limbs. Unlike ordinary stepladders or extension ladders, orchard ladders are designed with fruit tree pruning in mind: they have two wide legs on one side (for extra stability on uneven ground) and a single pole-like leg on the other side that is easily threaded through a tangle of branches, allowing you to position yourself in the midst of the canopy. Holsters ”“ Available for pruners, as well as smaller saws, loppers, and shears, specially designed holsters mount to your belt, keeping you from cutting yourself or misplacing the tool as you manoeuvre about the garden. Sharpening Accessories ”“ A sharp blade makes the work lighter with any cutting tool. Sharpening saws requires the right file for the tool and a bit of expertise to maintain the right angle as you run it across the blade. But shears, pruners, and loppers are easily sharpened with special tools that hold the file at just the right angle for you. Left-Handed Pruners ”“ The hand grips on regular pruners are molded for the right hand, but are uncomfortable to use with the left hand. And lefties find that the cutting blade is obscured from view when they use right-handed pruners, making it difficult to cut with precision. Which is why several companies offer pruners designed specifically for left-handed gardeners. Grafting Knives ”“ Ordinary pruners cannot provide the highly precise, ultra-clean cuts that fruit tree grafting demands. Basic grafting knives look like a large pocket knife, while professional models, capable of making the uniform T- and V-shaped cuts required for a successful graft, are reminiscent of a surgical tool.